The Rubbermaid Commercial Silhouette Trash Can features a contemporary design of perforated steel combined with classically styled tops to provide an upscale look that's perfect in any environment. 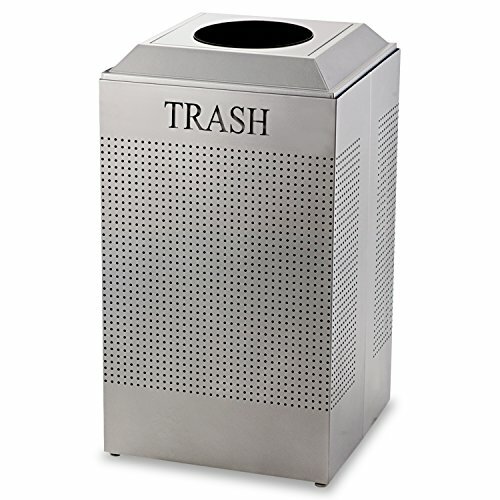 This garbage can is constructed of heavy gauge, fire-safe perforated cold-rolled steel. Waste bins include a leak-proof rigid plastic liner and adjustable leg levelers. Imprinted with "Trash."